The gap between real-life players and Rock Band players just got smaller. 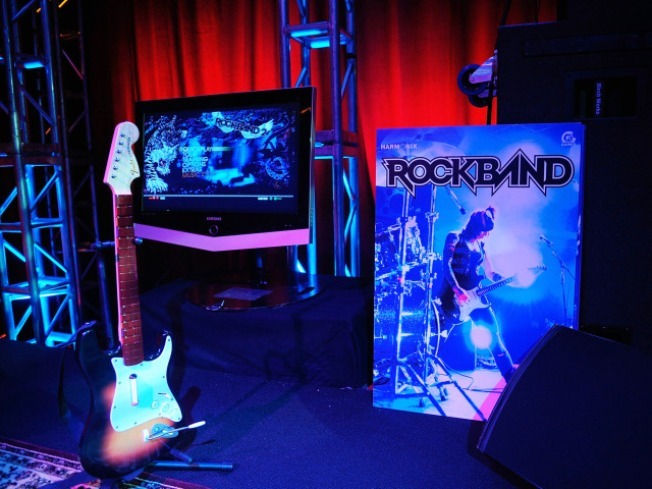 Harmonix and MTV Games, the makers of the popular music video game series, have added new instruments to the holiday-bound Rock Band 3, USA TODAY reports. A 25-key MIDI keyboard will bring players even closer to the experience of rocking out on stage (minus the sold-out crowds and the strobe lights). There will also be a “Pro mode” game option to plug in a full-size Fender Squier Stratocaster. For gamers who love the colorful buttons, a Fender Mustang Pro controller, complete with buttons in each fret, is available to produce single notes and slides. All this, for “an experience that is both accessible to players who are just getting into this thing, and builds something for the hard-core player who is maybe a little bored with where music games are,” project director Daniel Sussman told USA TODAY. On pace to surpass more than 2,000 songs by the end of the calendar year, the Rock Band library will allow players to choose songs by categories such as game version (eg. only Rock Band 2 songs) and genre (eg. ‘80s metal songs), according to the makers. Rolling Stone also reports that Rock Band 3’s on-disc set list will feature songs by Rilo Kiley, Metric and Phoenix. Along with more freedom to design their own characters for the band storyline, the new game will also boost the number of players to seven, thanks to three-part harmonies from the franchise’s The Beatlesand Green Day editions. Maybe this will also produce more Rock Band-inspired musicians, like 13-year-old drum phenom Bryce Kretz.